On Thursday, the magazine revealed that you can now install the Life VR app on your iPhone or iPad and scan the cover of the Jan. 5 issue to experience the AR content for yourself. 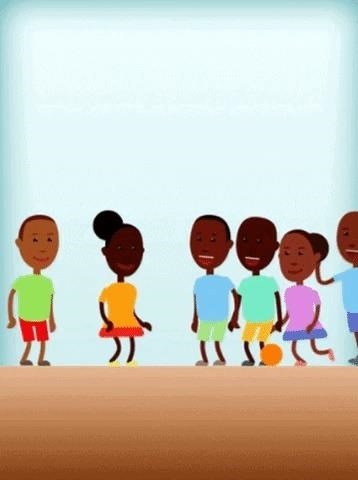 The app is also available on Android, which happens to be Gates' preferred mobile platform. 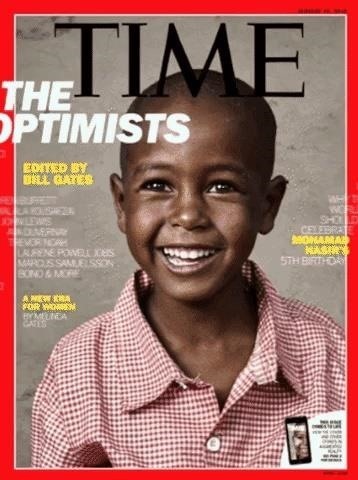 Dubbed the "Optimist" issue, the magazine contains an AR feature narrated by Gates that tells the story of an Ethiopian child, who Gates met in 2012 and holds up as an example of decreased child mortality rates worldwide. 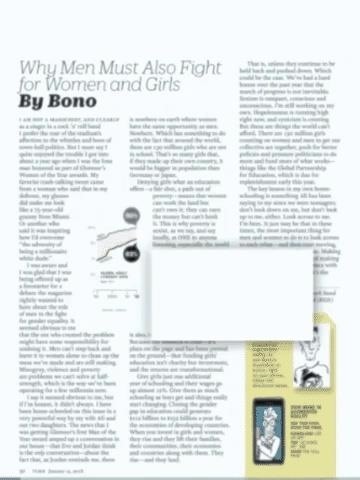 The issue also includes an article and accompanying AR content from fellow humanitarian Bono, whose band, U2, has enjoyed a cozy relationship with Apple. While this is the first AR cover for Time, the practice has become routine for Time Warner publications, including Sports Illustrated and Entertainment Weekly. Other periodicals, such as GQ and the Washington Post, have also adopted the technology. 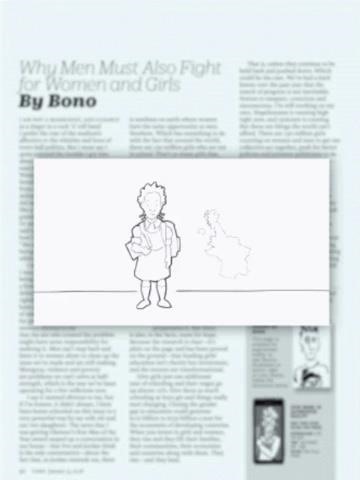 Magazines and newspapers are well-suited for AR, considering that their static images can easily act as markers for triggering content. Moreover, AR helps publishers add value to their traditional formats by embedding audio and visual content. Now if Time could just do Gates a solid and maybe come up with a HoloLens-friendly version of the cover, the historic interactive media event would be complete.